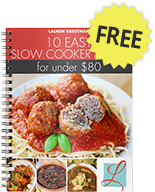 This post was part of the Cans Get You Cooking Blog Tour Campaign. All opinions are 100% my own. Folks, this is one of my favorite ALL-TIME recipes – and it's also my go-to recipe when I have no idea what to make (which seems to happen lots in the summer). 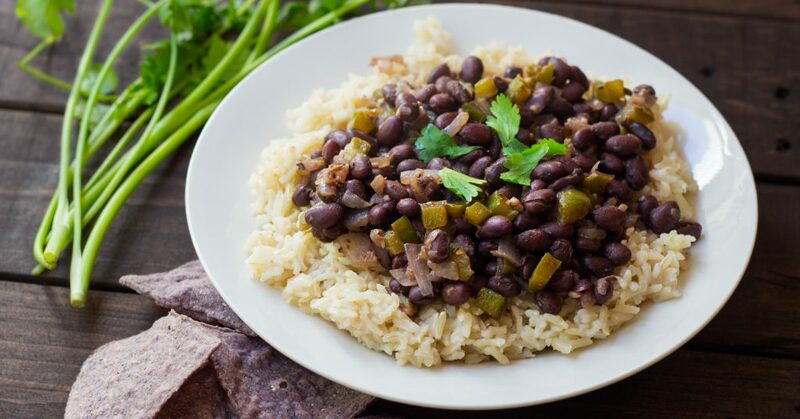 These black beans are just fantastic and so packed with flavor. Trust me, these will knock your socks off. So while this meal isn't grilled, I find myself making it in the summer quite a bit. It's light and easy. To start with, you could use dried black beans and soak them overnight. And then rinse them… I've done it a few times this way. But 99% of the time, I just end up using a couple cans of black beans. It's just so much easier and it turns out just as good. And nutritionally, they're on par with dried ones, maybe better… it turns out that canning is actually a great way to lock in the nutrients in the beans. So anyway – I've always had great luck with canned black beans. And this recipe is one of those ones that I seem to always have the ingredients for on hand when it's Thursday and my refrigerator is bare… by the way, did you know that 49% of Americans run out of food by Thursday?! That's why it's important to have pantry recipes like this on hand, so you don't spend a ton of money going out to eat. And it couldn't be easier with the recipe – 20 minutes later using a knife, a pan, a wooden spoon, and a can opener, dinner is done. And I have hardly any dishes to wash.
And the kids… they like this one. They usually wrap it up in a tortilla. Me? I serve it over rice, top with cilantro, shredded cheese, sour cream, and crushed tortilla chips. Then I mix it all up! So good! To start, mince an onion and a green pepper. Cook them in olive oil to get them nice and soft. Add some garlic and cook them a little more. Then you basically just add all the other ingredients and stir so that everything is mixed. Cook for a few more minutes to let the flavors blend. That's it. 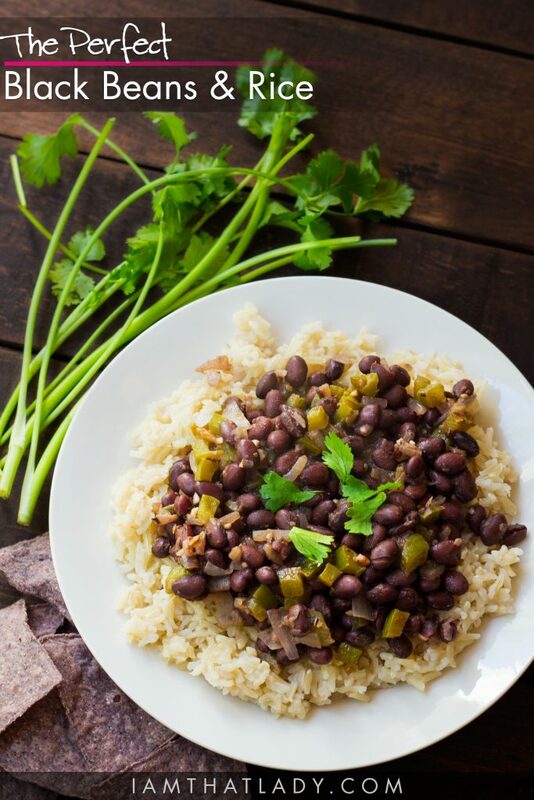 A perfectly balanced, healthy and quick meal – thanks to canned black beans. 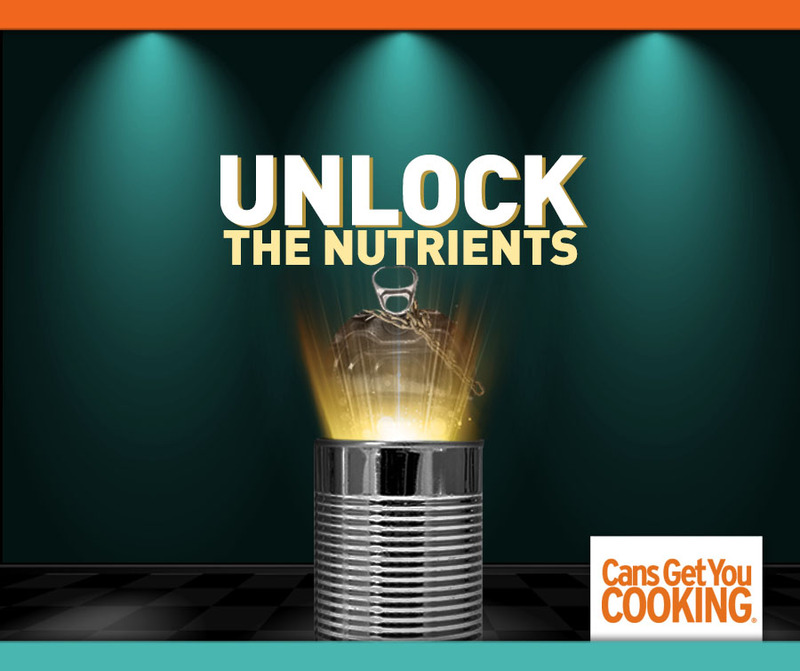 If you are interested in more quick recipes that make great use of canned food items, check out Cans Get You Cooking. Add oil to pan on medium high heat. Sautee green peppers and onions, season with salt and pepper to taste. When peppers and onions are softened, add the pressed garlic and cook for 1 more minute. Add black beans to the pan. Top with sour cream, shredded cheddar cheese, and crushed tortilla chips.